Whirlpool Washing Machine Motor Control Board (WPW10374126). Condition is New. Shipped with USPS Priority Mail. Part Number W11116590 replaces W10803586, W10841364, W10865064, W10915785, W10916478. Are you worried the product may not fit your appliance?. Kindly provide us with your Appliance Model Number and we will check if it's the right part you need. 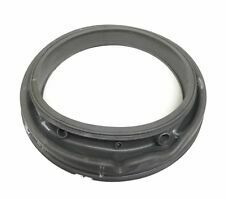 Whirlpool Washer Door Boot – W11106747. This part replaces W10474367, WPW10340443, WPW10474367, WPW11106747. Trending at $88.99eBay determines this price through a machine learned model of the product's sale prices within the last 90 days. Whirlpool Washer Timer Part # 3948171. Condition is Used. Shipped with USPS Priority Mail. Whirlpool Washer Timer Part # 3358741. Condition is Used. Shipped with USPS Priority Mail. WHIRLPOOL WASHER TIMER BROWN 2200712 4388175 This item is used and in good working condition. It was tested on a working appliance by a technician before it was removed. If you have any questions if this part will work on your appliance, feel free to send your model # and we would be happy to check and see if we have the part # listed that is recommended for your specific appliance model #. Our inventory is listed by part # not by item dimensions, so if you are looking for a part please send your model as this is the only way that we can verify that the item will work for your appliance. If any dimensions are listed in the listing they are only approximate. If you are needing more than one of a particular item, please let us know and we will check to see if we have any more available. Whirlpool Washer Spider ARM 8182247 W10269756 8181668 WPW10269756 W10250648461970300191. Shaft 1 3/8". And if you doubt the correctness of your diagnosis. New, genuine OEM part! Diagnose carefully. We'll help you get the right part. No need to guess - send us your model and serial number. New part with manufacturer's warranty. Defective?. Speaking of manufacturer's warranty - generic parts usually DON'T have a warranty. These dogs "bite" the top of the agitator to allow the agitator to grab in one direction and freely spin it in the opposite direction, when these wear the top of the agitator will spin freely in either direction. Whirlpool Washer Spider Arm W10283352 WPW10283352 461970300513 Shaft 1,3/8"
Whirlpool washer main control board W10916477. Condition is New. Opened box to verify contents and found misboxed. As shown in pics. Never installed. Shipped with USPS Priority Mail. Whirlpool Kenmore Maytag W10189966 Washer Control Board WPW10189966. Shipped with USPS Priority Mail. I purchased this along with a new pump when my washing machine stopped working. The issue ended up being the pump and not the control board. I had already opened the box but never ended up using it. Product is in perfect condition. Genuine Original Equipment Manufacturer (OEM) parts! This manufacturer-approved electronic control board (part number W10189966) is for washers. Electronic control board W10189966 manages the washer's functions such as filling, washing, draining and spinning.